As I mentioned on Twitter, sitting down to read this book, was like diving into a comfy chair with a few old friends and sharing a nice bottle of vino while catching up on all the gossip. The story picks up right where it ended in Die For Me and I was so happy to be back with such wonderful charismatic characters. I love the way Amy Plum writes; her writing is so descriptive you can almost smell and taste Paris. I have a feeling she may be a bit of a connoisseur on the quiet as her descriptions of food constantly have me drooling. When the author writes about Paris, she brings it alive and adds a touch of magic to the surroundings creating an urge to jump on a plane and visit. I am going to try really hard and not give away any spoilers, but this book does take the situation to a whole new level. Within the story, we find a lot more about the revenants throughout the world, which we were not aware of in the first book. Kate is hit with a rather nasty reality check when she realises how doomed her relationship with Vincent actually is. She is desperate enough to search for a solution, however unknown to her, Vincent in obsessed with solving the problem too. I really did feel sorry for Kate in this book. 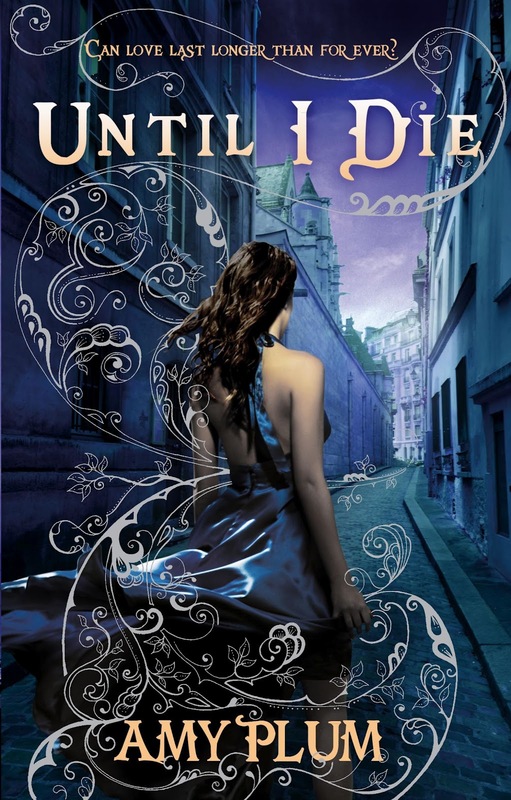 She has suffered so much and appears so helpless in this book as she tries to conquer the inevitable: mortality. There are two new characters in this book, Violette and Arthur, who add some rather interesting twists to the story. There are also certain male characters within the story who I shall now be keeping a close eye on in future. Just little hints as the story progresses making me think that some revenants have hidden agendas. The ending was a huge shock! And that is all I can say on that. I just wasn't expecting it to end the way it did and I wasn't happy! I came away with a heart wrenching feeling and can't believe I have to wait a whole year to find out what happened. I really enjoyed this sequel and I really feel it was even better than Die For Me. I think the relationships and the characters stood out even more. The writing was stronger and I was left desperate. 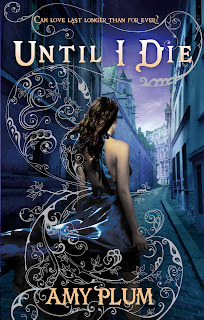 An excellent YA that will have you desperate to visit Paris in search of your own hot revenant! Oh my goodness I can't wait to read this!! Glad you enjoyed it, it does sound good and I like reading about Paris. I loved this book! I think Amy's writing style is just so beautiful! The ending of the book killed me. I don't know how I'm going to wait a whole year for the next installment! Great review Viv, I knew before I read the eview that you loved it but its better than Die For Me?!?! Wow! I bought the first book and have it on my list for July..so glad you liked this and that it was action packed!